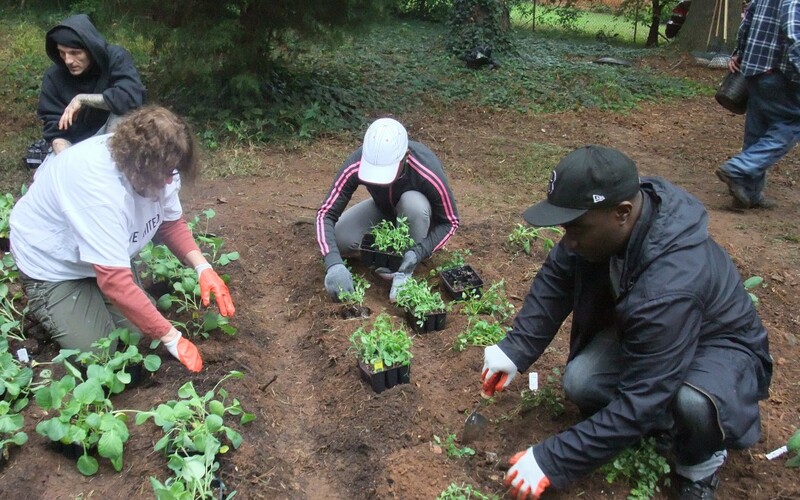 This October, Homes of Light plans to continue our tradition of planting a community garden in Decatur. We were unable to plant the garden last year due to the absence of resources, but are excited to have the means to bring it back this fall. This venture first began four years ago in an effort to raise awareness, encourage independence, and patience, and to beautify the neighborhood. The garden has become a representation of unity and reinforces self-sufficiency, a concept in which we strongly believe. Being involved in a group project helps clients build confidence in each other and themselves by providing motivation and engagement. As the garden grows and flourishes, so do many of the residents’ perceptions of themselves. Having tangible results of their hard work and patience seems to provide a feeling of accomplishment and contribution, feelings that have been rare for some of those who have a history of homelessness. In the Homes of Light program, we provide services to our clients that include access to mental and physical medical professionals, but we have a strong belief that healing also occurs from the inside. Coming together for community activities helps put that concept in action and build the relationship between our staff and clients. This year, we again have a group of volunteers from United Way joining the project, and we could not be happier to have one of our most supportive partners participating.